Guerlain Cils d'Enfer Maxi Lash Mascara guarantees gorgeous eyes every time. Simple to use, easy, and flattering. A combination of three polymers volumizes, lengthens, and strengthens for captivating eyes. Never clumpy, Maxi Lash can be layered to create just the right volume for each moment. 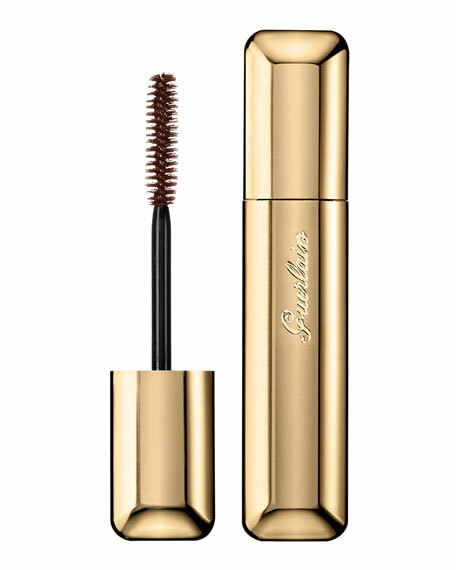 Scented with an ultra-feminine violet fragrance and housed in a beautiful gold case, Guerlain Maxi Lash Mascara is a must-have for enviable eyelashes. What it Is: Coaxes lashes to their longest, boldest, most upturned look yet, without a pinch, pull, tug or tear. Lengthens, glosses, enhances. Lashes stay silky, pliant, clump, and flake-free through multiple coats. How to Use: Begin at lash roots.